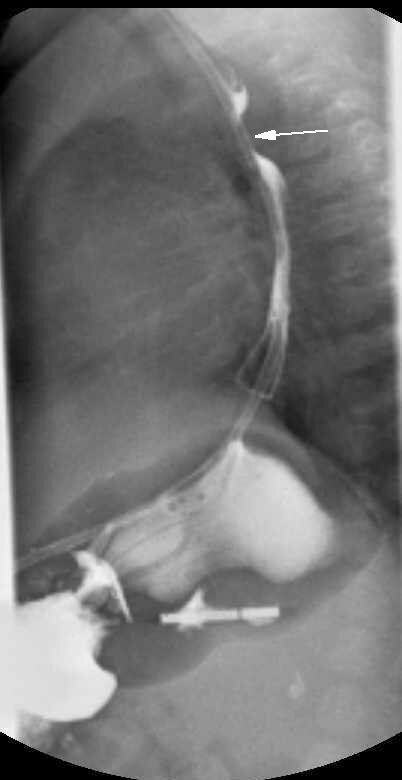 Image 1a and 1b (Barium Swallow): There is a nasogastric tube in situ. The trachea appears normal. 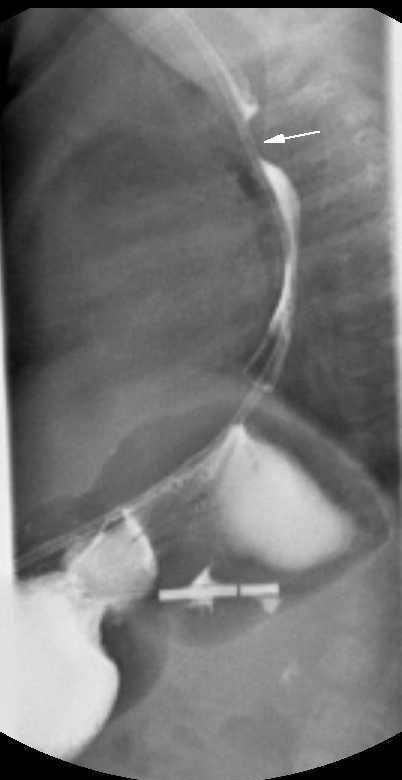 A constant focal narrowing of the posterior oesophagus is seen approximately at the level of the aortic arch with smooth margins (arrow), indicating extrinsic compression of the posterior surface of the oesophagus. This is most suggestive of a vascular anatomic anomaly such as an aberrant retro-oesophageal right subclavian artery causing stridor. Goodman TR, McHugh K. The role of radiology in the evaluation of stridor. Arch Dis Child 1999;81:456-9. (Review article).